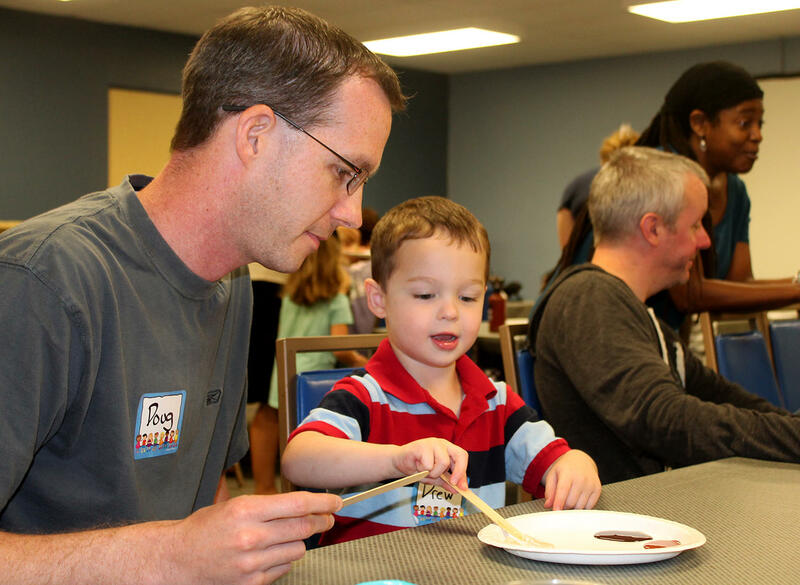 Doug and Drew Patchin mix paint to match Drew's skin tone before making a handprint at Temple Israel Sunday, Sept. 18 2016. From learning about how to say hello in different languages to mixing paint to match their skin tone, the point of the workshop was to help the room full of 3- and 4-year-olds notice that there’s lots of variety in how people look and talk. Wilson told the parents avoiding talking sensitive topics like race can send the wrong message to children. 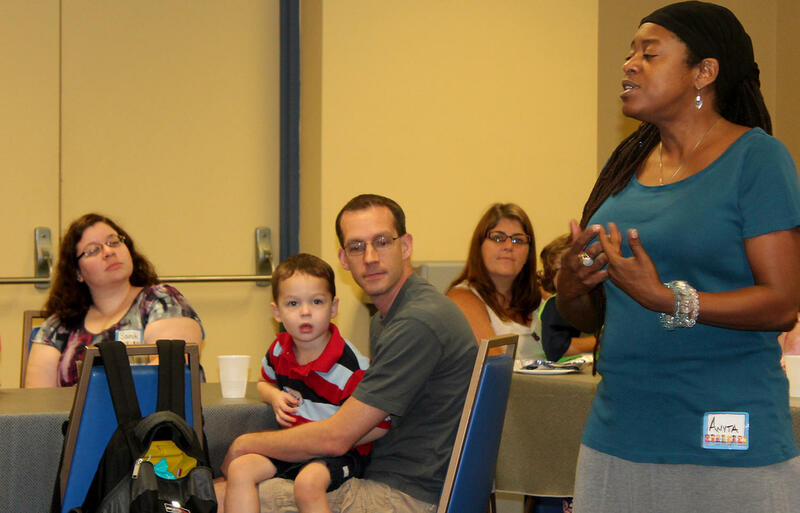 Anyta Wilson of the Anti-Defamation League of Missouri and Southern Illinois leads an anti-bias early childhood workshop at Temple Israel Sunday, Sept. 18, 2016. “If you’re not comfortable when your child is in a grocery store and points to some other customer and says ‘why does that lady (look different)’ … your child will start to notice. Even though they may not know what’s making you uncomfortable they’ll start to notice maybe I’m not supposed to talk about that. Maybe it’s a bad thing that that person is different. Maybe I shouldn’t like people like that,” Wilson said. Parent Lara Oberman said she wanted to bring her 3-year-old Max because she and her husband, Brian, wanted to know how to talk about diversity with her children. 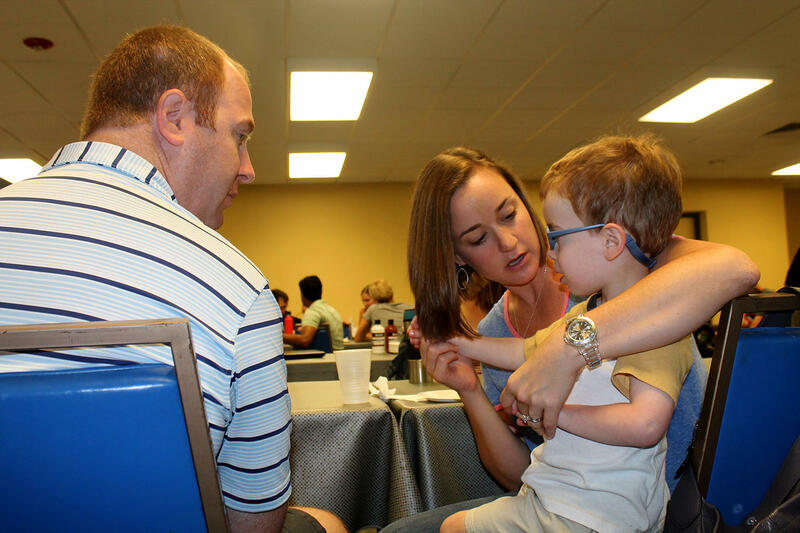 Brian and Lara Oberman tell their son Max about how they chose his name, an exercise during an anti-bias workshop Sunday Sept. 18, 2016 at Temple Israel in Creve Coeur. “Our son and our daughter are growing up in a very diverse world and we want them to be exposed to people of all different colors, races, backgrounds. But we also want to have them be open to asking questions about those differences,” Oberman said. A public question in a store about a year ago prompted Temple Israel’s preschool to start the Anti-Defamation League workshops. Education director Leslie Wolf said a mom came to her for advice after her young son asked her why a man at Target had dark skin. On Sunday Wilson advised parents to make conversations about diversity part of their routine by reading books and doing activities like the ones in the workshop. 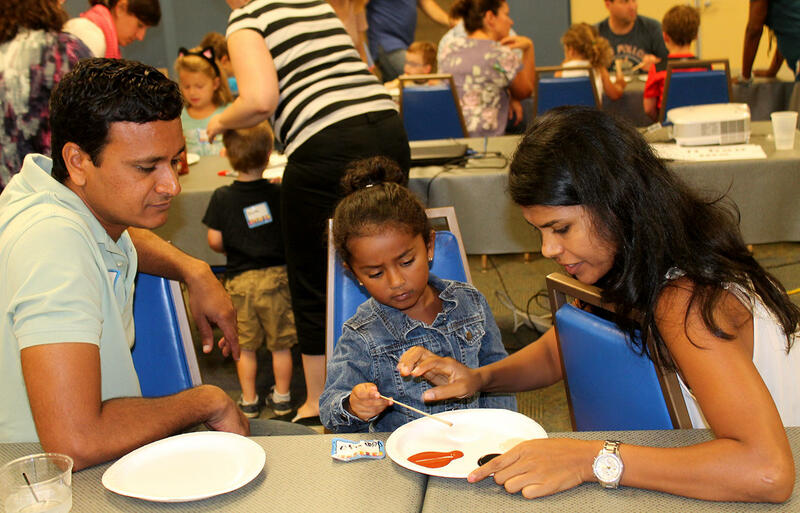 Kalyan and Subhashini Admala help their daughter Dhruthi mix paint to match her skin tone on Sunday, Sept. 18, 2016 at Temple Israel. Wolf said the preschool has an ongoing commitment to talking about diversity and bias, from discussion groups with parents to a partnership with St. Louis Public Schools’ Monroe Elementary. “We’re going to start with pen pals. We’re going to do video chats with these kids,” Wolf said. “Also with the parent groups … we’re going to have groups goings to different playgrounds in the St. Louis area just to bring more diversity in their families’ lives, which not all of them have but they want to,” Wolf said. 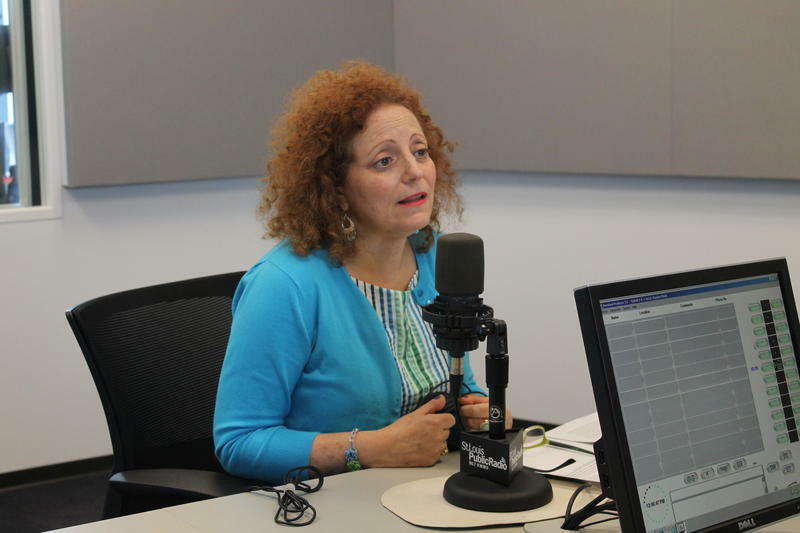 Wilson said the Anti-Defamation League holds a lot of anti-bias workshops, but the Miller Early Childhood Initiative shared Sunday is less common. “I’ve been doing the Miller trainings probably for about five years now and basically I think this will probably be the 15th one I’ve done,” Wilson said. 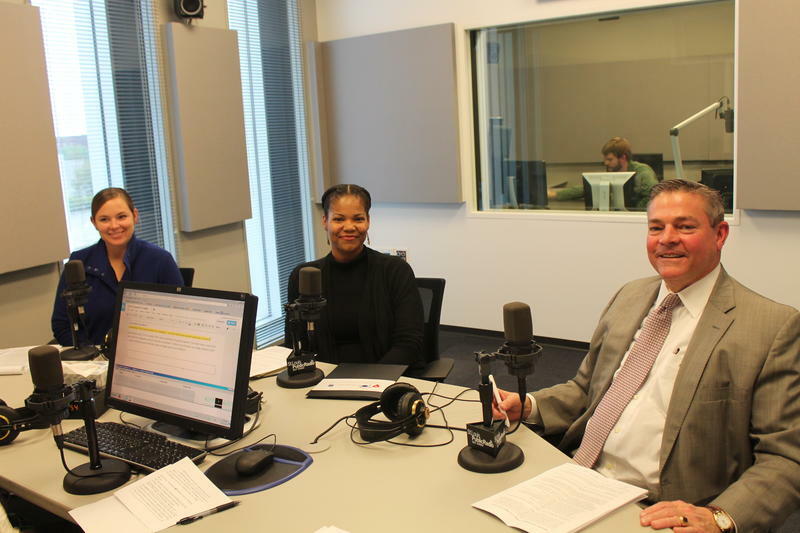 The Anti-Defamation League’s anti-bias program Law Enforcement and Society: Lessons of the Holocaust will mark its 10th anniversary by honoring the St. Louis Metropolitan Police Department, its first law enforcement partner to engage with the program. The FBI is investigating possible hate crimes in St. Louis after a woman was assaulted last week by three teens near Bevo Mill allegedly because she is Bosnian.